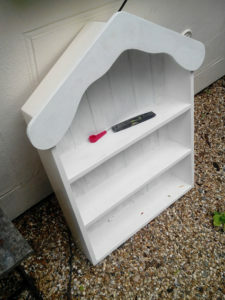 Inspired by seeing an auricula theatre here, Mrs Bee decided that she would like one of her own. A visit to a garage sale led to a chance discussion with someone selling an auricula. 10 minutes later and we were offered a whole range of ‘doubles’. 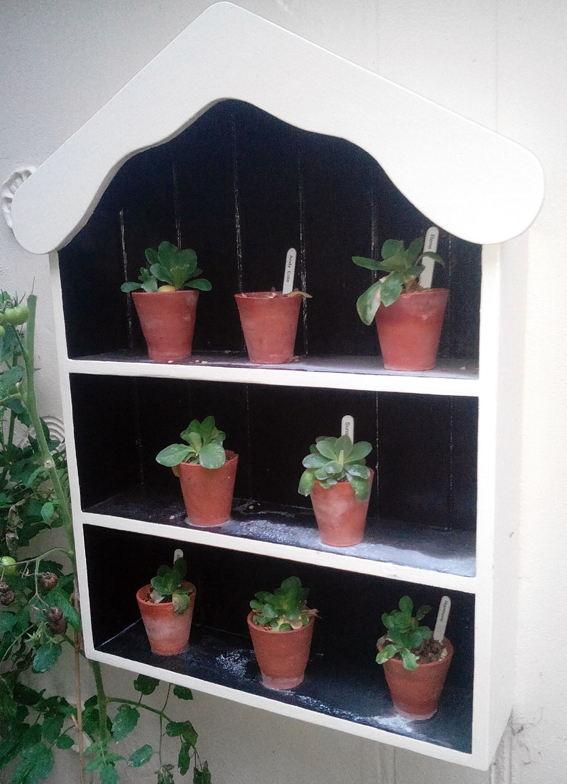 The decision was set, we needed an auricula theatre to show them off. The one at Calke abbey is a little out of our scale, but some research and searching resulted in the theatre you see here. 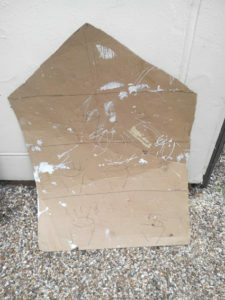 It started out as a cardboard template, to get the size and scale right. 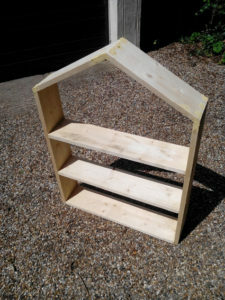 a few planks of wood later and the design came to life. 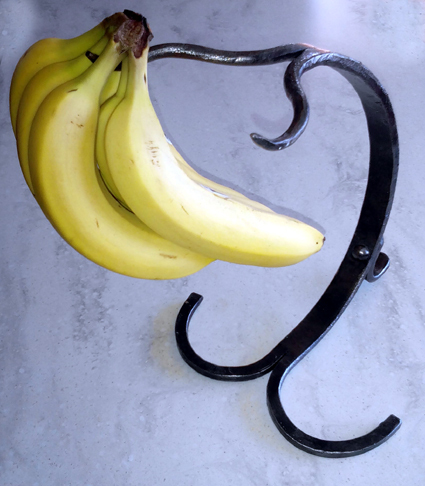 I made this blacksmithing banana tree a while ago now, but thought it worth a revisit in my occasional look at things I have made on the forge. It is basically one piece of bar, split at the base to make the stand, and at the top to make 2 hooks for the bananas. It has an extra small foot, held in place by a rivet, to stop it toppling over. It typifies the style I like, and am slowly adopting. A solid design, incorporating organic flowing lines, with traditional blacksmithing techniques of splitting, riveting and fire welding.